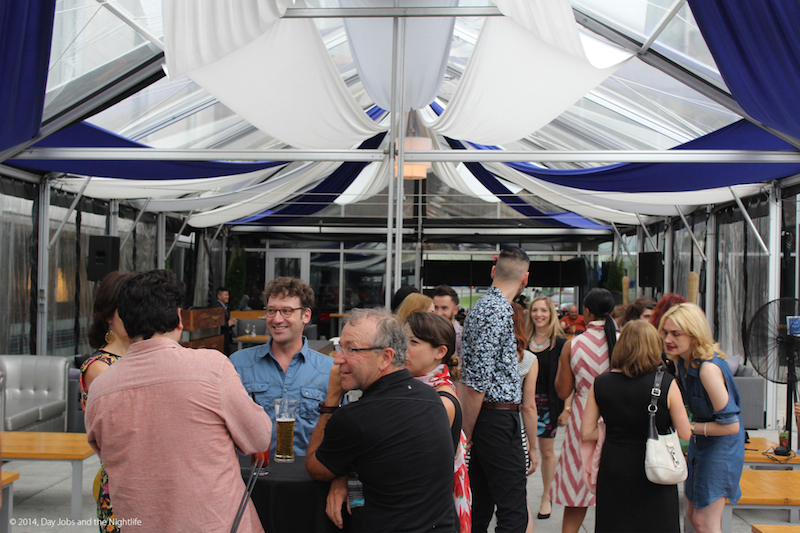 On June 17th a contingent of Montreal’s hungry media and VIP guests descended upon Jargo for an exclusive tasting event and official grand opening. A prepared menu of selected items was served and after taking some time to digest our experience, here are our thoughts on how the evening went down. For the first time since KOKO closed its doors in 2013, some real work has gone into effectively renovating this space. A beautiful brand new floor has been installed, a café has been added at the Sherbrooke and St. Laurent entrance and a complete visual overhaul help us forget that Brooke (a restaurant that lasted less than a year and deservedly so) ever existed. The new visual identity explores Montreal’s vivid history with large murals covering the walls. The décor evokes a burlesque vibe but where Montreal’s identity is as colourful as Jargo’s walls, the décor remains largely two-dimensional. This isn’t necessarily a bad thing but it feels like there’s something still missing. They did, however, do a great job of making the large space feel warmer and far more cozy than before. There are elements that stand out here such as the wooden tables that were put together from driftwood saved from the tsunami that hit Japan a few years back. Other wooden accents decorate the walls and add some character to the spacious restaurant. Jargo has access to one of Montreal’s most coveted outdoor spaces and to get the evening started we were invited out onto the 5200 square foot covered terrasse (pictured above) for a welcome cocktail. I prefer the terrasse when it isn’t as covered as it is now. On a humid day the heat amplifies inside the plastic covering making oxygen feel short in supply. There are designated areas on the terrasse that remain uncovered but the main draw of this majestic space was the fresh summertime air that’s now relegated to a few seats sparingly set outside the large transparent tempo. It is retractable and I don’t understand why they insist on keeping the majority of the space covered (they may uncover from time to time but I have yet to see it) even when it isn’t raining. During the welcome cocktail we gathered at the bar at the far end of the terrasse and waited patiently for the bar staff to mix us up the two special cocktails invented specially for the evening. 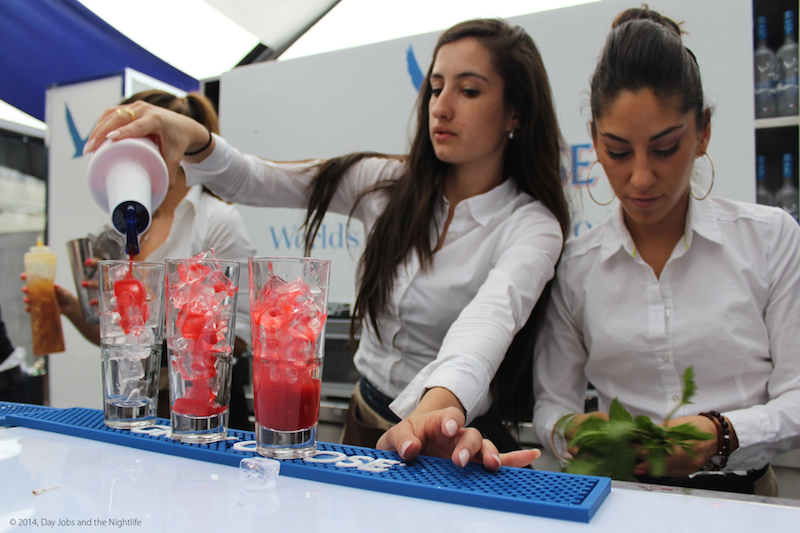 Dreamt up by famous Montreal-based Nectar & Mixologie, the cocktails were fresh and delicious. After a short meet and greet we were ushered back inside as the meal was about to start. 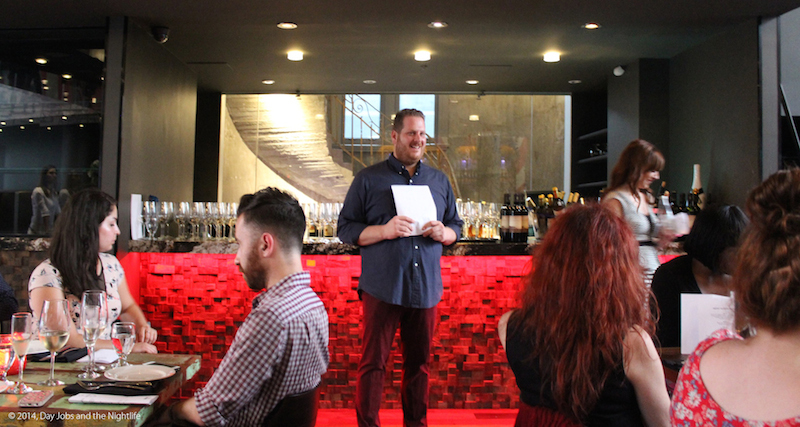 As the tasting got underway, Fabio Broccoli, one of the restaurant’s three founders gave a quick speech about his endeavor to open Jargo and how proud he was of what was accomplished. He beamed with infectious excitement as he explained that he and his partners named the restaurant after Joseph-Arthur Godin who constructed the original building in 1915. They restaurant hopes to attract the audience that has curiously evaded both its predecessors in what might be some of the city’s the hottest restaurant real estate (corner St. Laurent and Sherbrooke). After the speech, the food started coming out to the large number of guests. To put the night into perspective, it was like being at a large wedding reception. As this wasn’t a typical night, the service can’t really be judged. A restaurant’s service is a culture that develops overtime and Jargo’s staff was understandably still finding their legs. The waitresses were friendly and they did a great job at getting the starters out to everyone simultaneously. 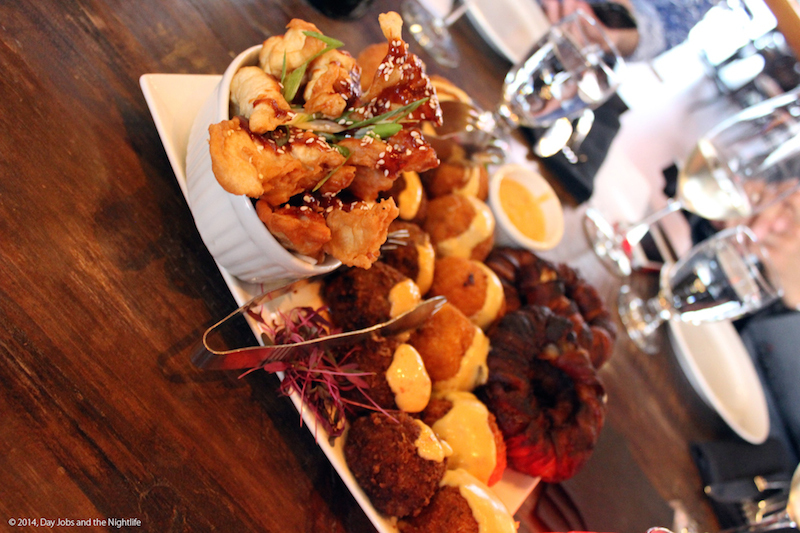 We began with a selection of appetizers including fried mac & cheese balls, lobster general tao and bacon covered onion rings. Our 8-person table was mostly silent as we started digging into the food. For the most part, everyone was pretty pleased with how we got started. The second service consisted of a fresh tuna edamme and a spicy King Lee slaw (a coleslaw inspired a dish in one of Fabio’s favorite Toronto restaurants). As with the starters, these dishes were good, well presented and flavorful. Jargo made a slight misstep with the main course. 30 minutes prior to starting the meal a waitress took our orders for our main course, which I thought was rather proactive. 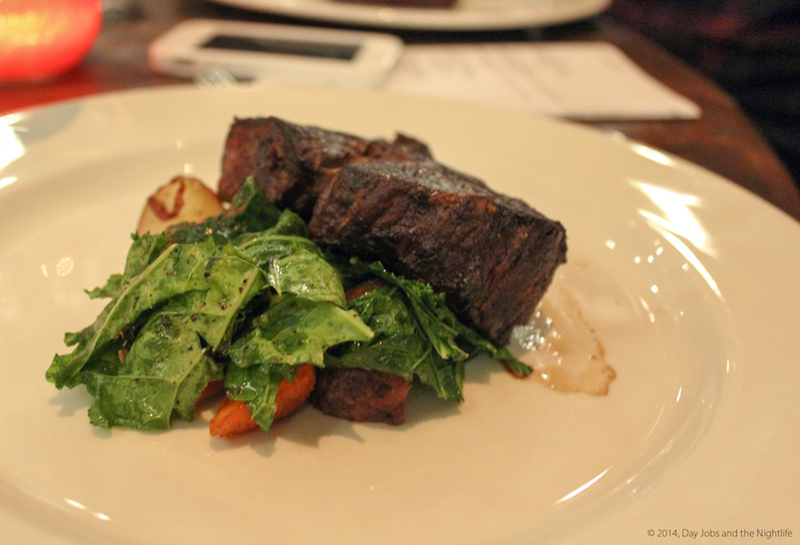 Going against my intuition, I steered away from the burger and instead chose the filet mignon (pictured above). Around the table others chose fish and the rib eye steak. My filet mignon was quite simply over cooked (coming from a man who orders medium-well, that’s saying something) and the consensus around the table was about the same. They said the fish was also over cooked and over salted, others who chose the filet mignon had the same problem with their meat as me. Other tables had similar opinions as well. I didn’t finish the steak and if I had been a paying customer I would have sent the dish back. The best part of the main course was the side dishes that were provided. The homemade fries were warm and savory and the thick cut, smoked BBQ bacon was the best bacon I have ever eaten in my life. Chatter around our table was varied. Some said they were not impressed (one said he’d never come back) while others came to the defense that a big crowd requiring their food at the same time means not everything could be perfect. I feel that a kitchen should be ready to serve anything at any time within reason (they had just come off a wildly successful Grand Prix weekend). One sitting at restaurant shouldn’t ever be a deciding factor if we like it or not but out of the gate, a restaurant like Jargo needs to prove that their food and service is the main draw. I’m still on the fence with how I feel about Jargo which is why I took my time releasing this article. At the beginning of the evening I was happily surprised with how good the food was and it wasn’t until we came to the main course and desserts that things went south. Just after leaving the restaurant I couldn’t help but wonder was there enough good to go back and try it again? A little over three weeks has passed since the media event and now I can answer that question with a timid yes, there was enough good. The look of the restaurant, my other experiences at Jargo and the drive to please us is a vast improvement over what was there only a year ago. At the end of the day there are too many good restaurants in the area for Jargo to rest on simply being ok but I think the owners know that. The novelty of KOKO and the arrogance of Brooke are replaced with what feels like a genuine elation to have people seated around their tables and enjoying their food. 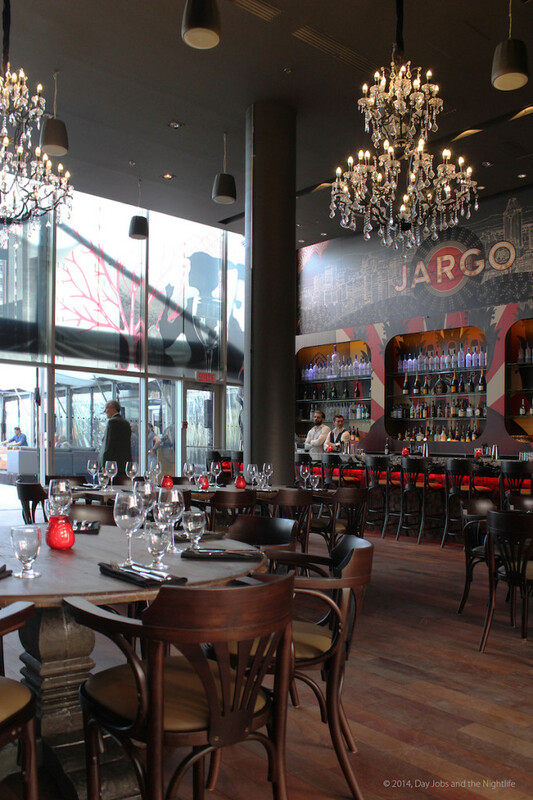 Jargo needs to avoid the stereotypical St. Laurent pitfalls that make certain restaurants in the area so unattractive to those living in the 514. Jargo needs be the hottest attraction on the Main. As it sits, it’s still warming up.